Mon., 9 Dec. - Wed., 11 Dec. Sun., 16 Jun. - Sat., 6 Jul. 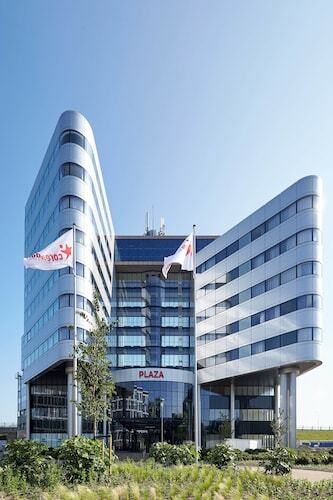 Linked to the passenger terminal and train station by a covered walkway, and next to the World Trade Center, this Avant-Garde hotel is twenty minutes from central Amsterdam. 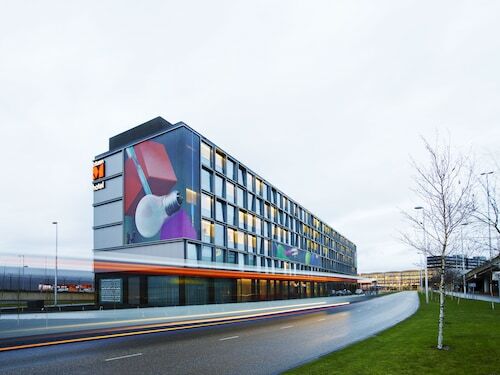 Situated in Schiphol, this hotel is within a 10-minute walk of Rijksmuseum Amsterdam Schiphol and World Trade Center Schiphol Airport. Vondelpark and Van Gogh Museum are also within 9 mi (15 km). 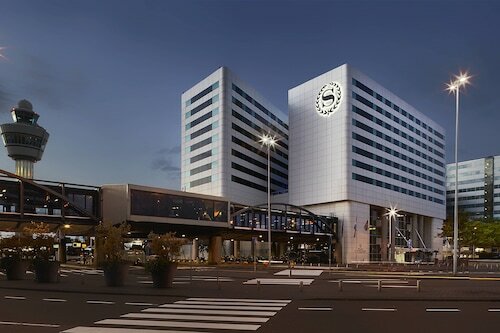 Schiphol Airport Station is only a 3-minute walk. 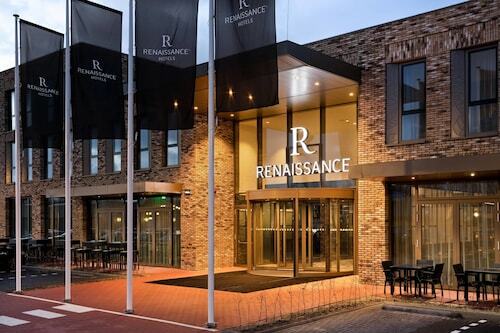 Situated near the airport, this hotel is 0.1 mi (0.2 km) from Amsterdamse Bos and within 9 mi (15 km) of Van Gogh Museum and Rijksmuseum. Anne Frank House and Heineken Experience are also within 9 mi (15 km). Question : How many flights are there per day from Zurich to Amsterdam? Answer : The number does differ by the day of the week, but on average, you can expect 11 different choice of flight times when you book. Compared to the average route departing Switzerland with three flight times, you'll have more options than most. Question : How long does it take to fly from Zurich to Amsterdam? Answer : If you're able to take the direct flight (which is offered by KLM), you will be able to leave ZRH at 2:15 PM CEST and get to AMS at 3:50 PM CEST (one hour and 35 minutes). Question : How much is a plane ticket to Amsterdam (AMS) from Zurich (ZRH)? Answer : They vary from $145 to $755. Booking in advance can usually help you get the cheapest ticket. The further out you book, the more likely you are to save on your trip. Answer : The cheapest day to fly from Zurich to Amsterdam is on Tuesday. So, if you are trying to save some money on your next trip look for flights on that day. Question : How long do most people stay in Amsterdam on average? Answer : Of course, you're not most people, but if you were, you'd stay roughly five days. Question : How long is the flight from ZRH to AMS? Answer : KLM can get you there in one hour and 35 minutes. For example, if you were to leave Zurich at 2:15 PM CEST, you would get to Amsterdam at 3:50 PM CEST. Giving you enough time to catch up on your television shows before you land. Answer : You sure can change your departure or arrival date and you may save by changing when you take off. The cheapest day to fly in April is Tuesday. Being flexible with your travel days can provide you extra savings when booking.